First, I want to announce the winner of the stackable cooling racks from Friday. It was Jenn from breadplusbutter.blogspot.com – comment #16 as selected from Random.org! Yay!! Thank you all for entering, and I am planning more giveaways in the future, so stay tuned! Pomegranate juice is the big thing right now. From cupcakes and frosting to salad dressing, pomegranate juice is everywhere. I am a fan of the ruby red juice but I do not really cook with it often. That is a shame because it offers a lot of flavor and some fantastic color. I had to come up with a remedy for this situation. I decided that pomegranate juice would star in a glaze. 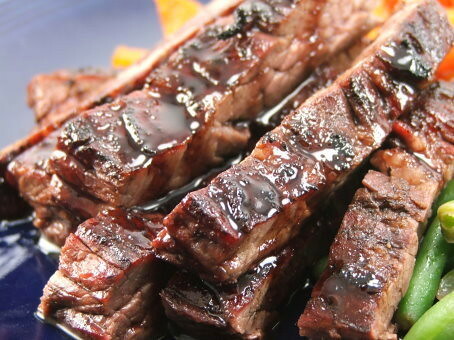 After a lot of contemplation I decided to make a Tex-mex’ish glaze using pomegranate juice. 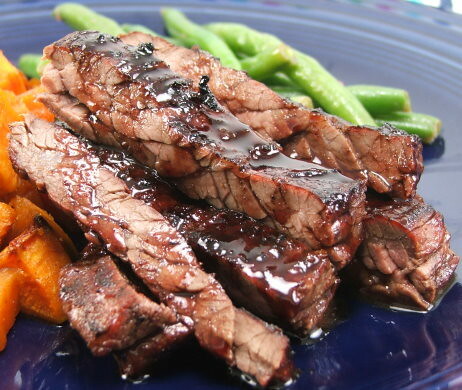 I wanted the tangy sweetness combined with some spicy heat, and I wanted that on some savory, rich skirt steak. Trust me, it really works! The finished steak is salty, sweet and tangy. Serve it hot with some Spiced Sweet Potatoes, or cold over some fresh greens, and you have a meal fit for company … if you can bring yourself to share. I’m not so sure I could. I’m greedy! 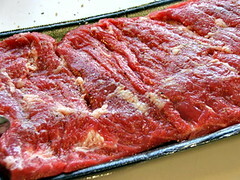 Dry the skirt steak and allow it to come to room temperature. In a deep skillet combine the remaining ingredients over medium heat. 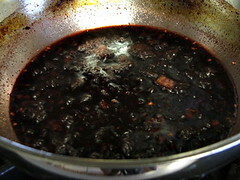 Bring to a simmer and reduce the heat to medium low. 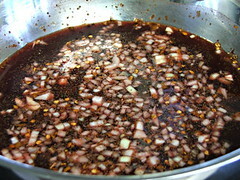 Allow the sauce to reduce to 1/3 of a cup. 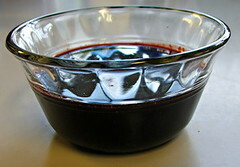 Strain, and reserve two tablespoons. 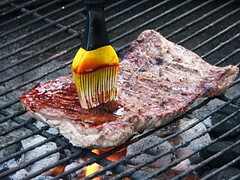 Season the steak with salt and pepper and place on a very hot grill. 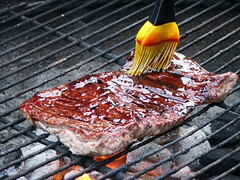 Once you flip the steak, brush it with the glaze. Flip again and glaze the second side. 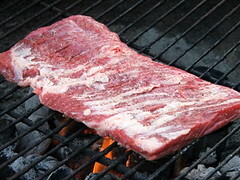 Alternately, you can broil the skirt steak under the broiler, brushing the glaze on the meat as it broils. Cook to your desired level of doneness. Allow the steak to rest five minutes before slicing. Drizzle the reserved glaze over the sliced meat.